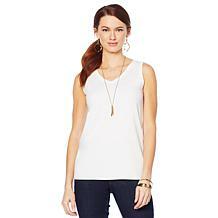 You always strive to look your best, even on jeans-and-tee kind of days. 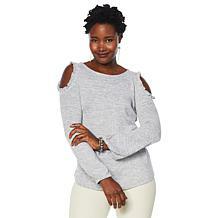 Here's an elevated version of the long-sleeve tee. 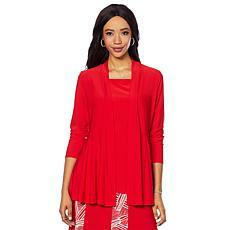 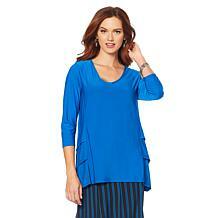 The tulip hemline dresses up the silhouette, while the cotton-blend jersey knit has lots of stretch for comfort. 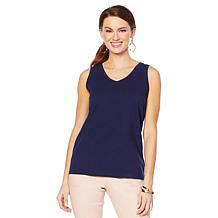 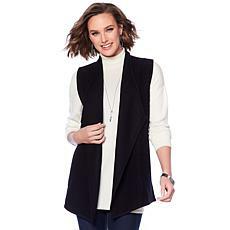 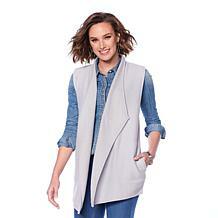 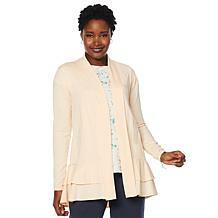 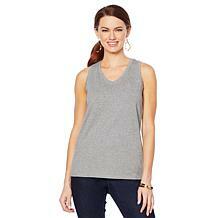 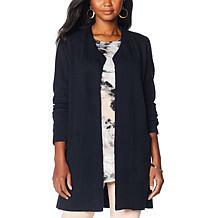 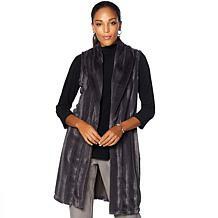 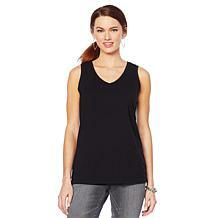 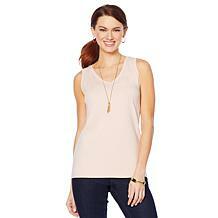 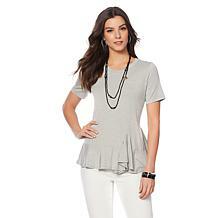 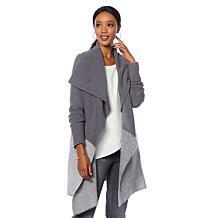 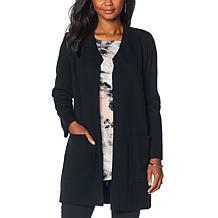 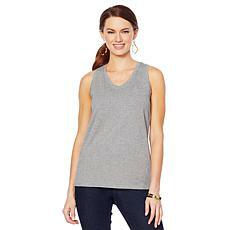 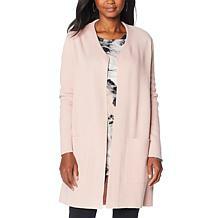 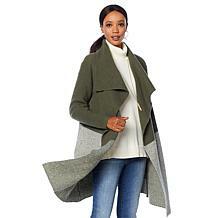 A fabulous wardrobe begins with versatile essentials like this layering tank. 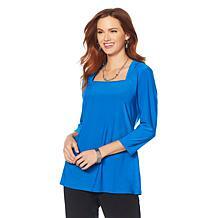 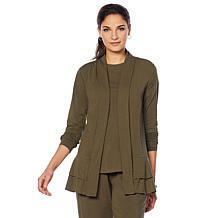 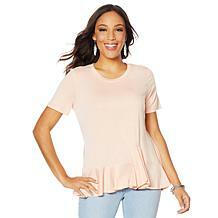 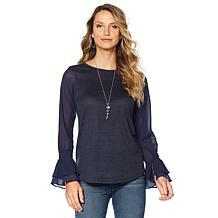 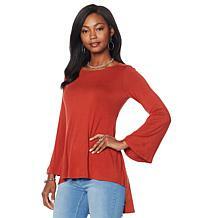 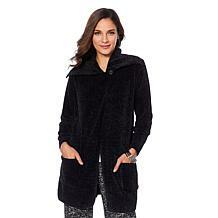 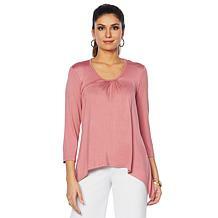 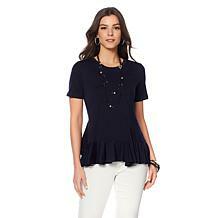 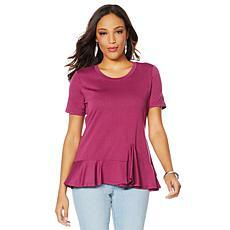 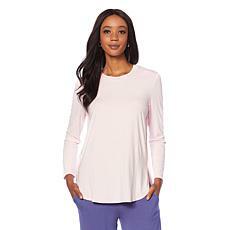 Quality fabric, a great fit and flattering style make it one you'll want in every color. 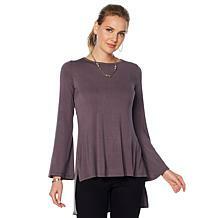 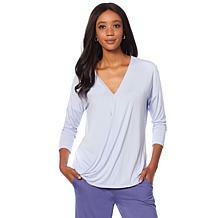 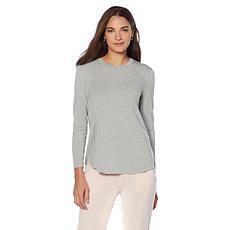 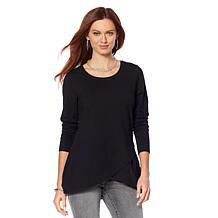 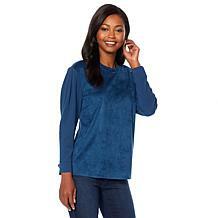 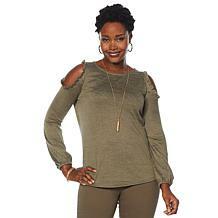 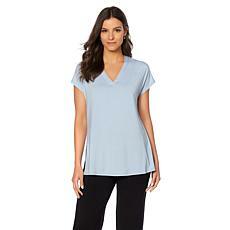 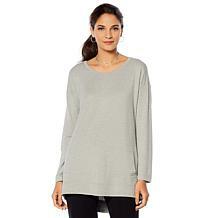 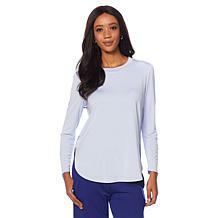 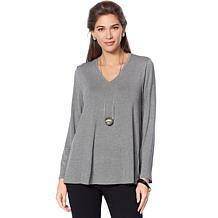 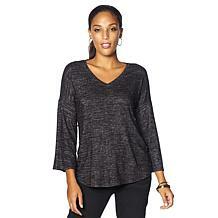 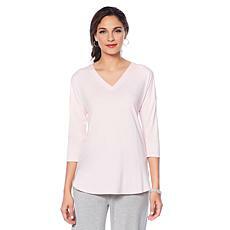 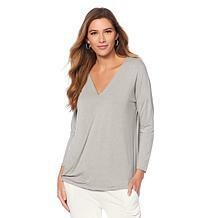 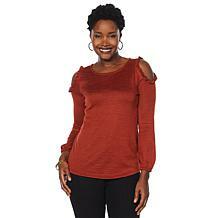 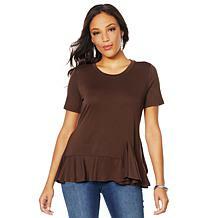 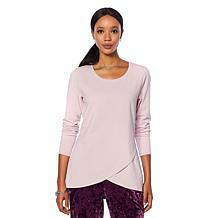 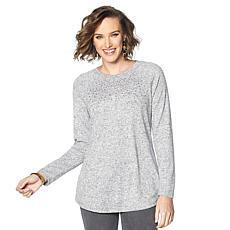 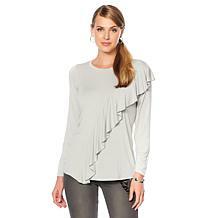 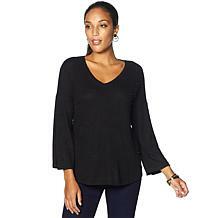 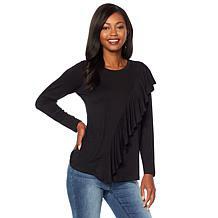 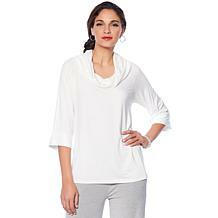 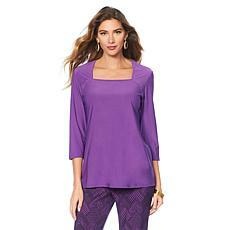 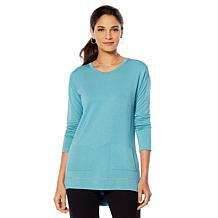 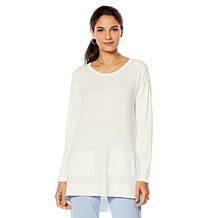 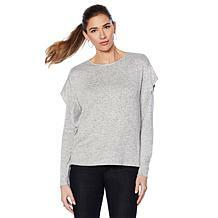 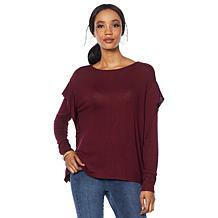 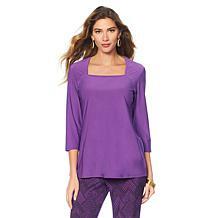 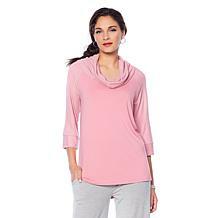 Soft & Cozy Loungewear Cool Luxe Knit Hi-Low Shirttail Tee Take your downtime to new levels of style and comfort. 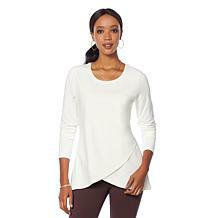 Not your ordinary tee, this garment is designed with the cooling properties of bamboo. 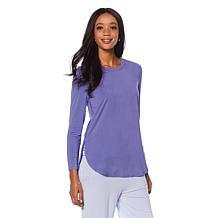 The supple, moisture-wicking fabric makes relaxation even more enjoyable — and a top priority. 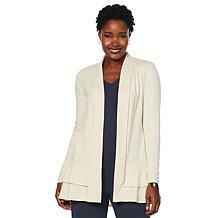 Antthony 2-piece Jacket and Tank Set Being comfortable in your own skin is one thing. 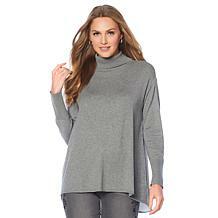 Being comfortable in your clothes is essential. 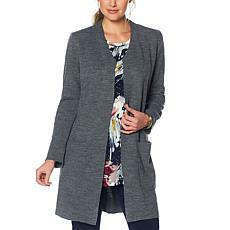 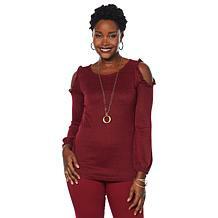 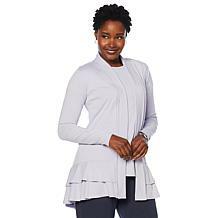 This stretch jersey knit set features a figure-flattering jacket and matching tank that gives you endless styling options from day to night and fall to summer. 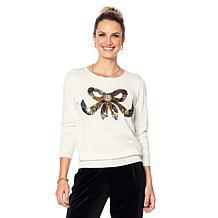 A scattering of fuzzy stars or hearts infuse this sweater charm. 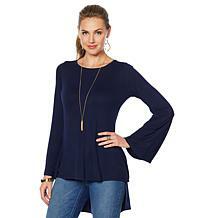 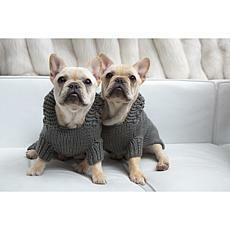 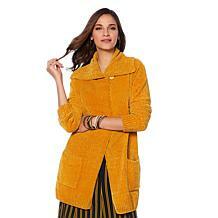 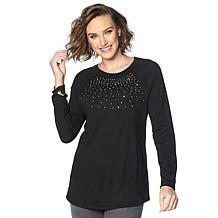 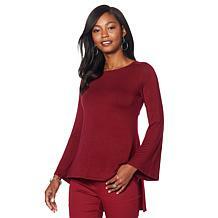 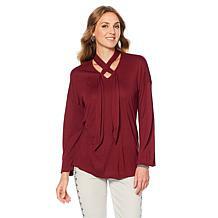 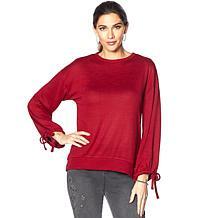 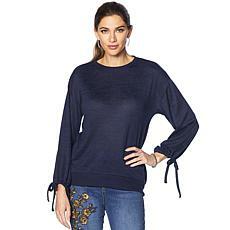 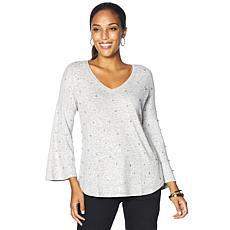 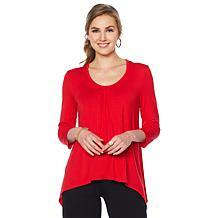 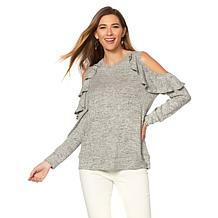 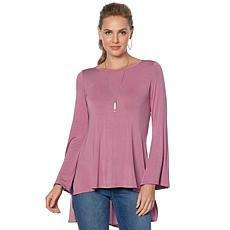 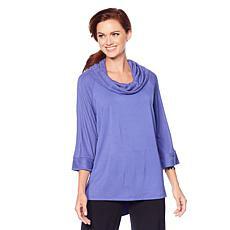 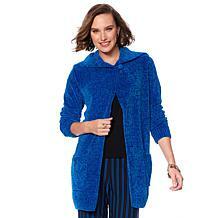 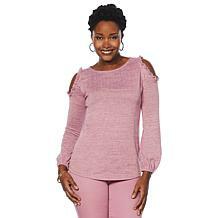 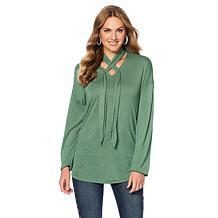 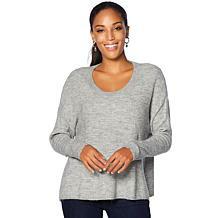 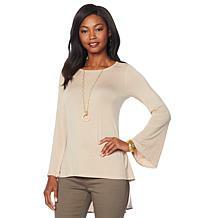 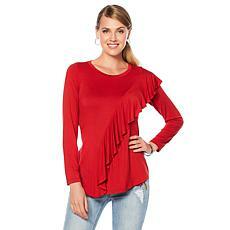 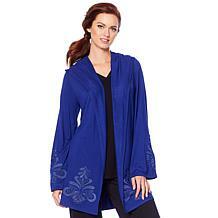 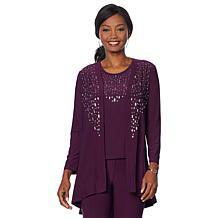 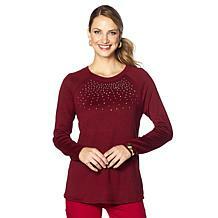 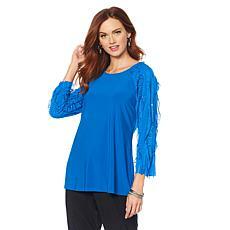 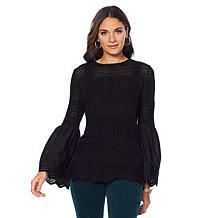 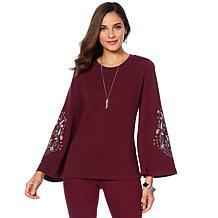 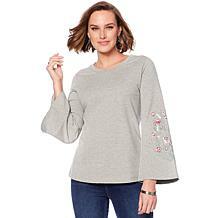 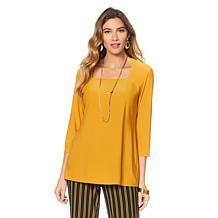 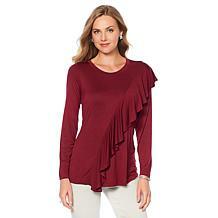 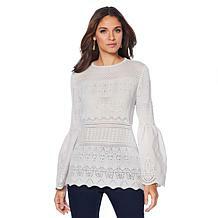 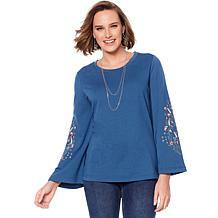 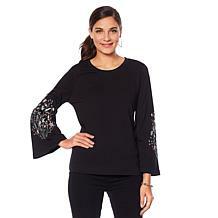 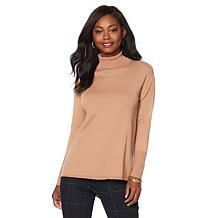 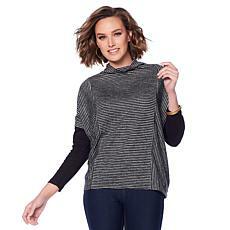 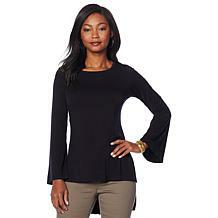 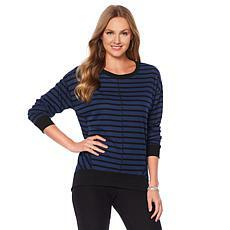 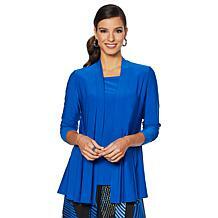 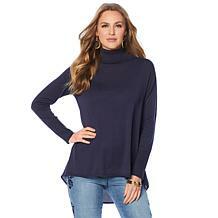 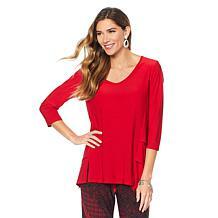 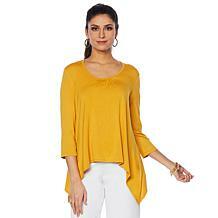 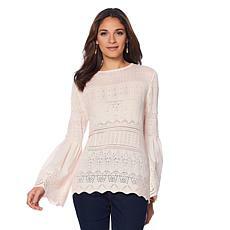 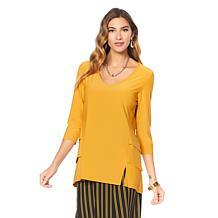 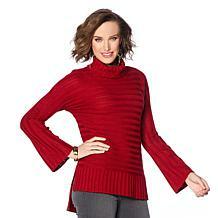 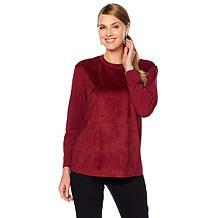 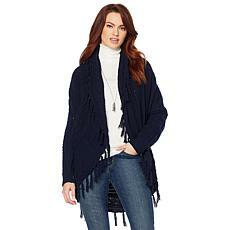 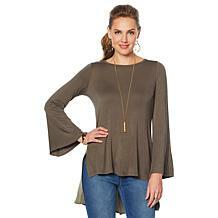 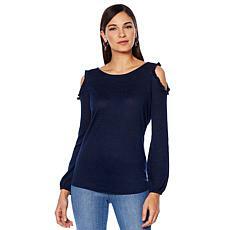 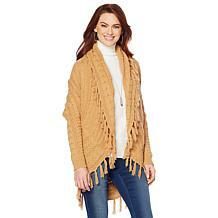 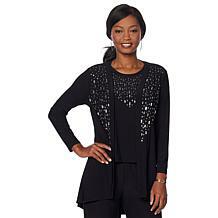 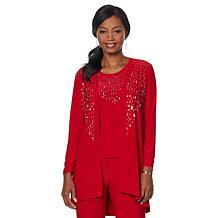 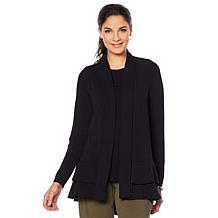 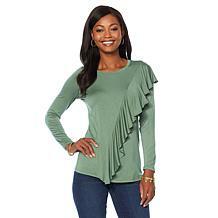 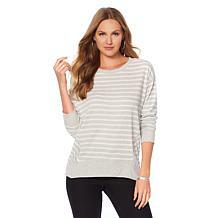 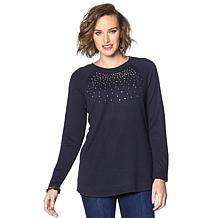 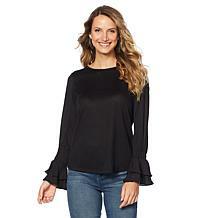 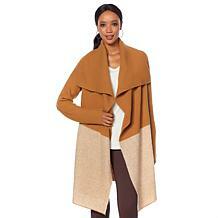 Make your everyday outfits a bit more fun and whimsical with luxurious viscose knit pullover.